The Angleton Republican called a press conference for Monday afternoon to discuss the race. 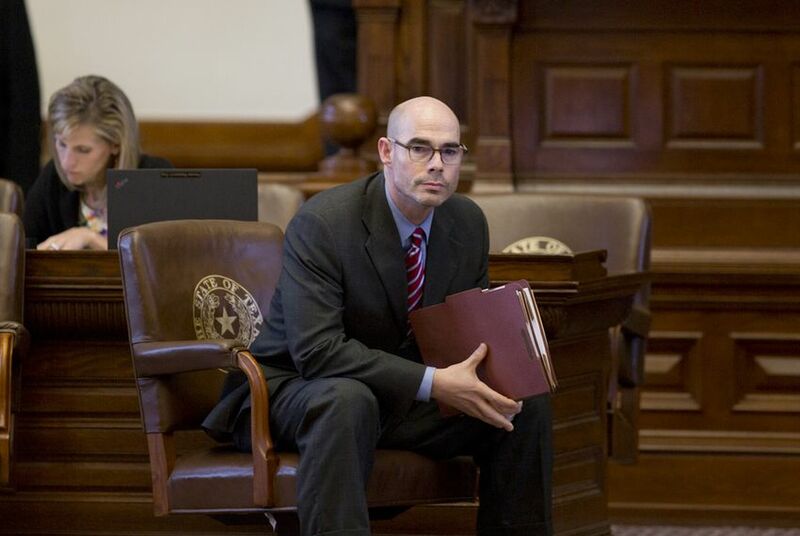 Momentum among House Republicans was building Monday morning in state Rep. Dennis Bonnen’s campaign for speaker of the Texas House, as four legislators vying for the job dropped out of the race and endorsed the Angleton Republican. Bonnen told The Texas Tribune just before lunchtime that he's planning to hold a news conference at the Texas Capitol to discuss "the finishing of the speaker's race." Hours later, state Rep. Phil King of Weatherford confirmed to the Tribune that he was also ending his candidacy. “I think it’s very important that the Republican caucus be united,” King told the Tribune when reached by phone. “I think Bonnen is our best opportunity to elect a Republican speaker.” King’s decision to end his bid was first reported by Quorum Report. On Monday morning, state Rep. Tan Parker, R-Flower Mound, also dropped his bid. In a statement, he said that he and Bonnen “have had many great conversations, and I am confident that we share the same vision for the future of Texas.” Parker added that he believed Bonnen “is the right choice.” On Monday afternoon, Democrat Eric Johnson also withdrew his bid and threw his support behind Bonnen. The exit of all four Republicans comes just weeks before House Republicans are scheduled to caucus and then rally around the group's preferred pick for speaker. That meeting, which is set for Dec. 1, would aim to solidify the party choice for a speaker candidate ahead of the legislative session in January. Meanwhile, Democrats, fresh off a 12-seat pick-up in the general election, are confident they’ll play a bigger role in the speaker selection process. Days after this year’s midterm elections, state Rep. Chris Turner, the chair of the Texas House Democratic Caucus, said that a majority of the soon-to-be 67-member group had already signed an agreement pledging to vote together for a speaker candidate. To be clear, some of the Republicans still running for speaker have said they don’t think the dynamics of the contest have changed much — despite the fact their party, which will still hold 83 seats come January, lost a considerable number of them in the elections.